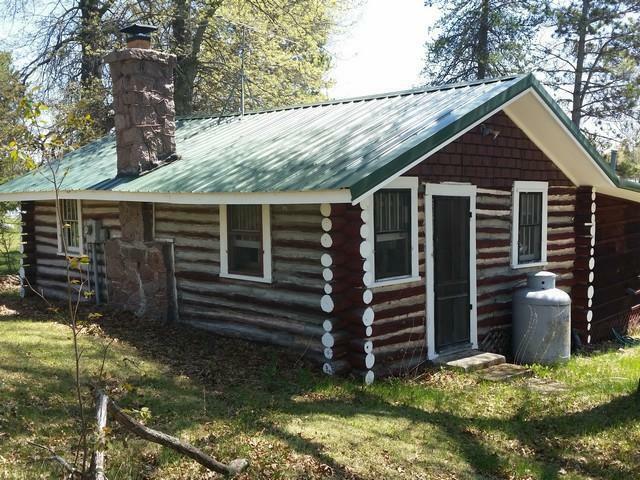 Cozy with character is one way to describe the property that features a full log authentic rustic cabin with a field stone fireplace hardwood floors living room with views of the lake. Enjoy the large yard with with a family friendly slope to 74'of sandy swimming frontage. Plus there is a garage for the toys. Great location offering direct access to ATV & snow mobile trails 1000's of acres of county forest just down the road close to larger lakes several streams and only an hour north of Green Bay! Cabin is being sold with most furnishings so pack your bags and start making memories today!!! Ranch Lake is a 52 acre no-wake lake with a max depth of 44'.